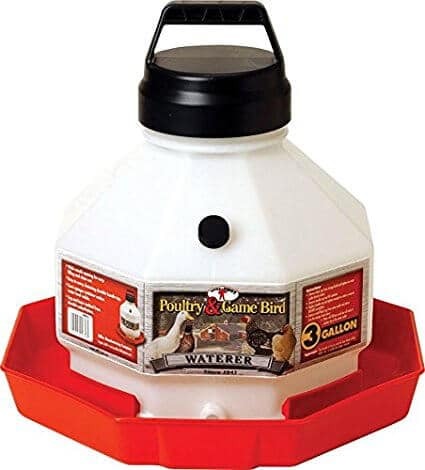 Gravity Waterer: When it comes to giving our chickens fresh water, Gravity waterers are a huge help in keeping your chickens water clean. But also helpful when it comes to keeping them from freezing in the winter months. Check out how I do that in my post The Only Tip You Need ~ Keep Your Chickens Water From Freezing! Poultry Protector: When it comes to fighting mites and lice in the coop, this Poultry Protector spray has been a big help! Want to see how we use it? You can read about it in How To Treat Your Chicken Coop For Mites! Water Bath Canning Set: This canning set is perfect for canning tomatoes, sauces, applesauce and pickled items! If you’re not ready for a pressure canner this is perfect to get you started. Here’s How to Can Tomatoes yourself! 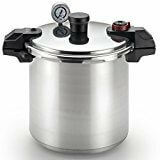 Pressure Canner: Once you’ve mastered the water bath canner, you’ll want to move on to a pressure canner. This is the exact canner that I use. There are electric canners but should their coils burn out you have to buy a whole new one and they’re pretty pricey. Check in how to can your own chicken stock, in my post Pressure Canning Straight From A Newbie! Stone Baking Sheet: I love this stone baking sheet! When it comes to baking, I try to primarily use stoneware. Everything just comes up so much lighter! The best recipe to try it out with, would be my Best Ever Chocolate Chip Cookies! 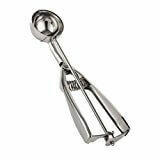 Cookie Scoop: I’m always using my cookie scoop! Whether it’s for cookies, pancakes, meatballs, or my favorite muffins! Those would be my Pumpkin Roll Muffins! 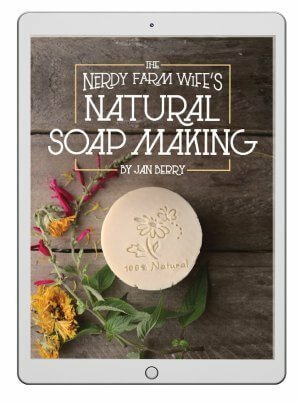 Jan Berry’s Natural Soap Making eBook Collection is my soap making bible! This is where I learned EVERYTHING I know about making soaps. From the supplies I needed, how different oils worked and what quantities to use, troubleshooting, and a wealth of recipes to try out! I was so confident after reading these eBooks that my first batch of soap, I wrote the recipe for it myself! It was for my Cucumber Mint Soap and it was a huge hit! 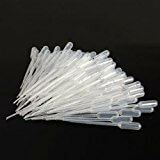 Pipettes: I love using pipettes when measuring out essential oils into my soap recipes! I like to measure by the mL and it’s marked right on the side. One of my favorite recipes so far has to be my Pumpkin Coffee Soap Recipe! Silicone Loaf Mold: I much prefer using a loaf mold l when I make soap. It gives it more of a rustic look than the cavity molds. But having a silicone mold with a wooden frame makes it easy to remove while having the support of the wooden frame. Here’s another of my favorite recipes using a loaf mold, Harvest Orange Soap Recipe. SiteGround: SiteGround is my choice in web hosting! About a year after I started blogging I made the choice to switch host providers and I couldn’t be happier! With their amazing support, site speed, and security the only regret I have is that I didn’t start with them from the beginning! Making Sense Of Affiliate Marketing: This course has completely changed my view on blogging as a whole! I was stagnant for a while and trying to reach “Full time blogger!” After taking Making Sense of Affiliate Marketing, not only did my affiliate sales increase, but my blog itself took off! I was able to become a full time blogger and it even led me to launch a second blog, Blogging Over Breakfast! Tailwind: Pinterest is where I get the majority of my blogging traffic from. But, I can’t sit and pin all day. With Tailwind, I am able to schedule my pins, analyze their statistics, and connect with other bloggers to find quality content and get my own content noticed. You can read my post on Why Every Blogger NEEDS Tailwind if you want to know more!